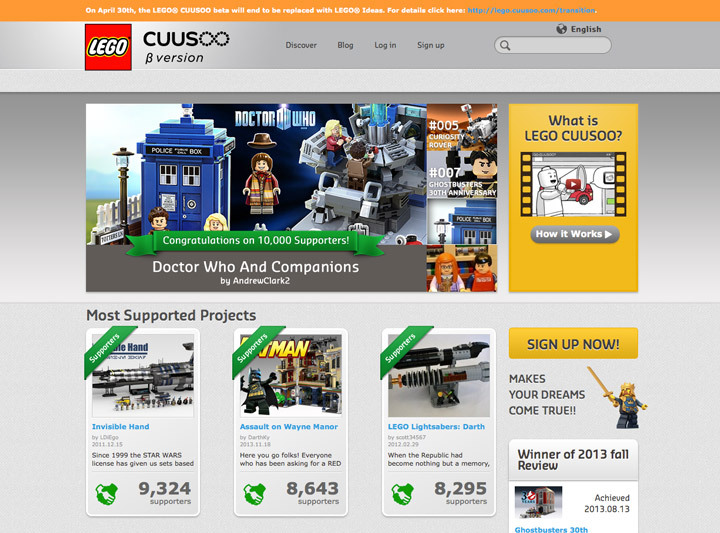 Lego CUUSOO is dead, long live Lego Ideas! There are two big changes that have been revealed. Lego Ideas will have one year to earn 10,000 supporters, and after that will have to restart at zero. The other change is that people can now submit projects if they are 13+ years old.